The focus of this discipline is on the planning needed for an effective response to an incident. Organizations need to have procedures in place to manage an incident that impacts life safety and physical assets. The response structure should meet the needs of the organization and should consider physical security as well as environmental health and safety. 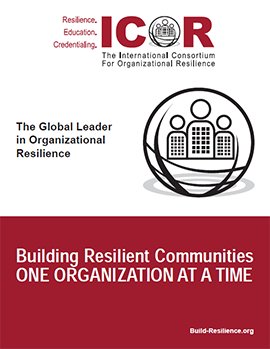 The ICOR courses in the IR discipline focus on building an incident response capability and building a more resilient workplace. Audience: Anyone involved in the planning for any type of incident including those who work in physical security, environmental health and safety, risk management, as well as business continuity professionals. Description: Understanding your organization’s “incident readiness” involves understanding how it manages everyday “issues” and how it determines the thresholds for initiating a more formal response. An organization’s incident response capability is also impacted by how well it integrates and coordinates the different parts of the organization responsible for responding to an incident. 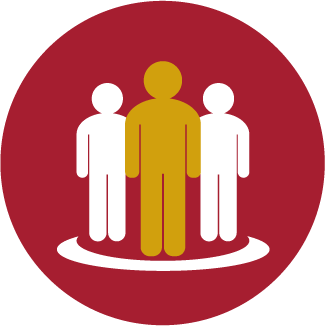 This workshop studies the core components of “crisis or incident readiness” and how to incorporate an issues management capability as part of planning for incident response. Audience: Anyone involved in contributing to the safety and security of the organization including those who work in physical security, environmental health and safety, risk management, as well as business continuity professionals. Description: The level of safety and security an organization can provide to its employees and customers directly impacts the ability of the organization to hire and retain quality personnel as well as its ability to conduct business. This workshop provides guidance on how to evaluate your organization’s physical security and environmental health and safety programs. It looks at both the cost of creating a safe and secure workplace as well as the cost of workplace injuries. It also explores creating a more agile workplace and moving toward a people-centric infrastructure.